Order Management for artisans and small businesses on Etsy. Manage all your online orders from Etsy, automate repetitive tasks and keep track of your crafting materials, so that you can keep your focus on your craft with all of your heart. selling handmade items on Etsy who need a pocket-friendly inventory management solution. who ply their goods on Etsy who may also need some advanced inventory tools and basic warehouse management. who are planning to sell goods on Etsy and are in need of a compatible order management solution. Define your final products as composite items. Then bundle up your crafting materials to convert raw material inventory into finished goods, available for sale whenever a new order comes in. 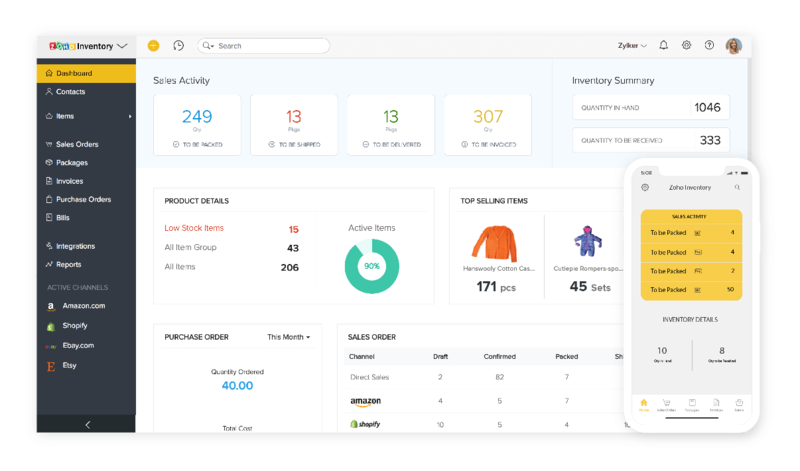 Our integration not only brings in all unfulfilled orders from Etsy, it also captures your client data and adds them as contacts in Zoho Inventory. Customize contact fields so you can keep track of any information about your clients. Everything is hosted on the cloud, so there are no downloads and no lengthy installations. You can set up your first organization in a matter of minutes and your client data, open orders, and item list on Etsy is imported as soon as you integrate the two. With Zoho Inventory, automatically sync and fulfill orders from different platforms like Amazon, Ebay or Shopify, on top of Etsy. 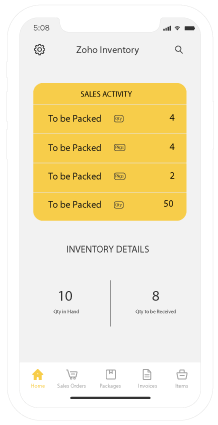 Plus, your inventory levels get synchronized across all channels whenever you make a sale or purchase. We're crafters, just like you, and software is our craft. 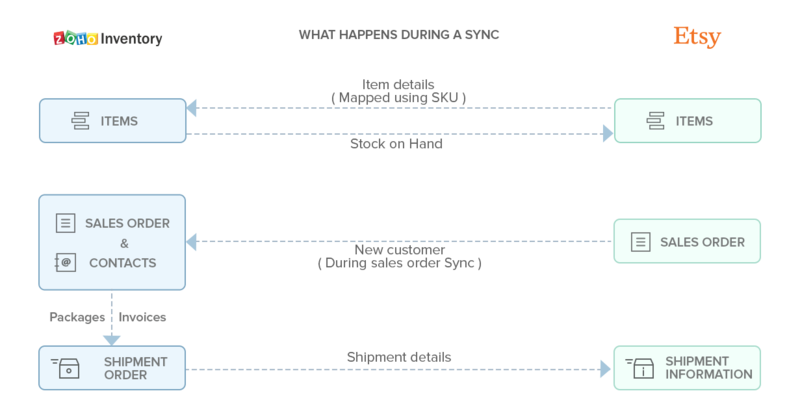 That's why our pricing plans are simple and straightforward, starting at 29 USD/month, or 290 USD/year, for our feature-packed basic edition, plus free 24/5 call-in support. Zoho Inventory integrates with most major shipping carriers, like Fedex, DHL, UPS, and more. You can now generate shipping labels, track deliveries, and notify customers, all from one place.